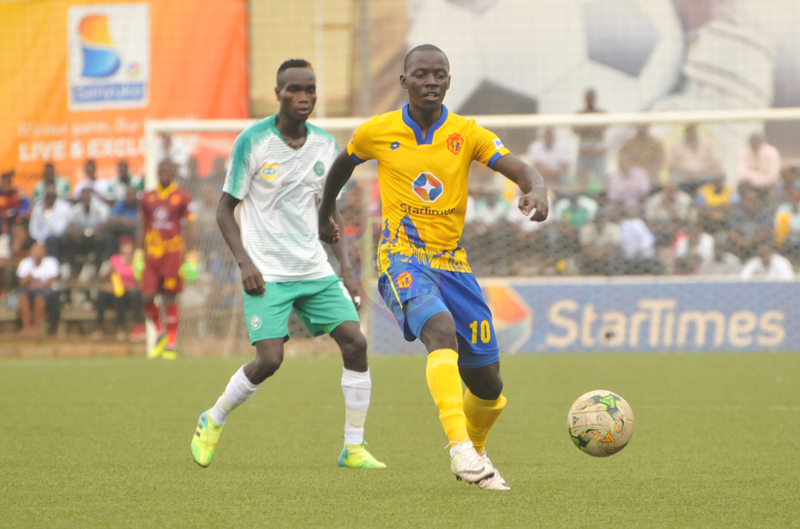 Patrick Kaddu scored from the penalty spot on 63 minutes to ensure KCCA FC kept their table lead in the Startimes Uganda Premier league. 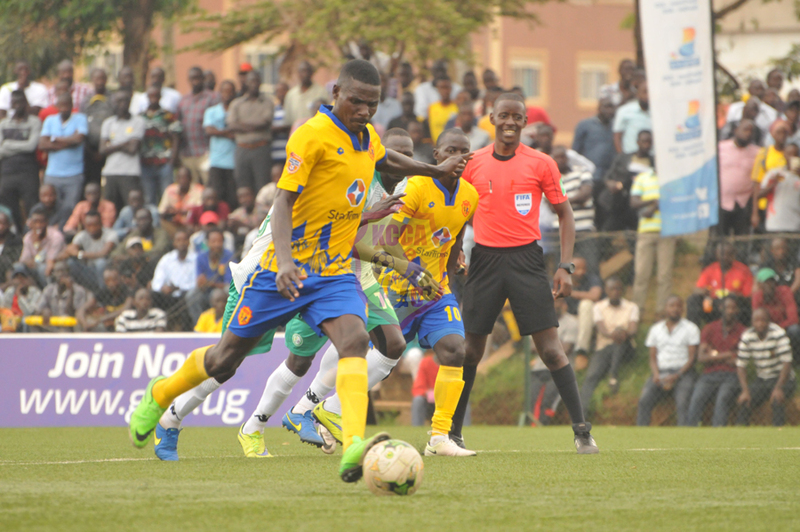 Allan Kyambadde was fouled in the box by Rashid Okocha a few meters from center referee Ssali Mashood and he pointed to the penalty spot. Kaddu held his nerve to slot past Nicholas Sebwato and take his season tally to eight goals in the league. Both teams showed top intent from kick off and were only denied by plenty of wasted chances from both sets of players. Kaddu checked the Caterpillars’ custodian Sebwato with his weaker foot but the lanky man was equal to the task in the 8th minute. 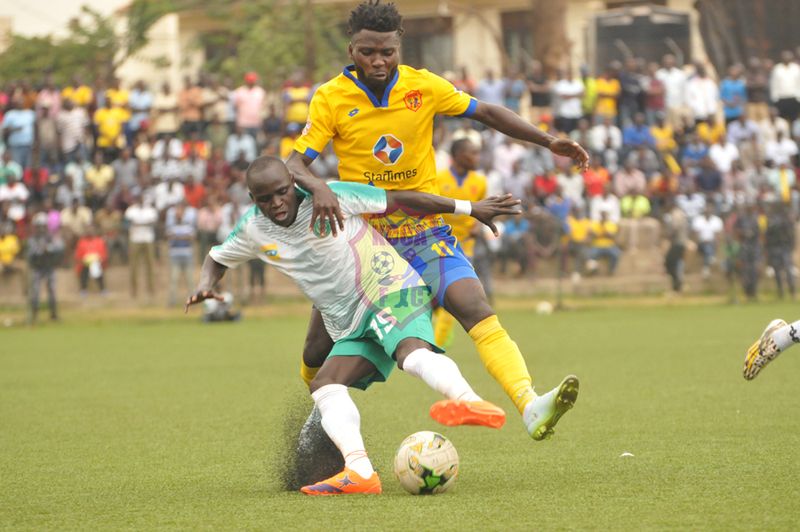 Muzamiru fluffed a direct free kick out wide and seconds later Magambo’s teasing cross in the opponents cross was cleared offline by Caterpillars’ skipper Toha. Julius Poloto out paced Faizul Ibrahim and Rashid Okocha and had his shot blocked by Richard Ayiko six yards away from the goal. Okello almost gave the hosts a half time lead but his belter was parried away by Sebwato and Toha cleared for safety in the 44th minute. After recess, Muzamiru beat Toha and shot on goal but Sebwato comfortably collected. 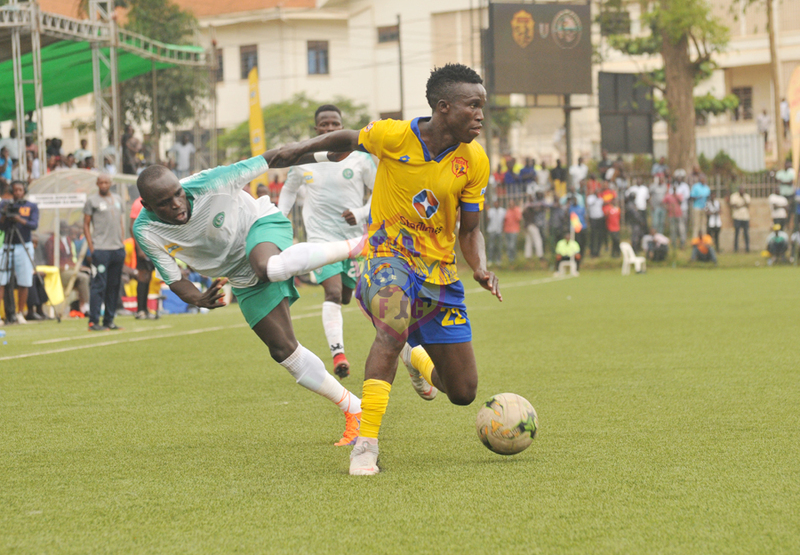 Kyambadde’s pace and trickery on the ball had Rashid Okocha foul him in the box and Kaddu slotted home from the spot..
KCCA FC made changes bringing Isaac Kirabira and Jackson Nunda for Muzamiru and Okello respectively. Kyambadde and Magambo were cautioned for fouls on Ayiko and Ssekajugo respectively on 70 and 73 minutes. 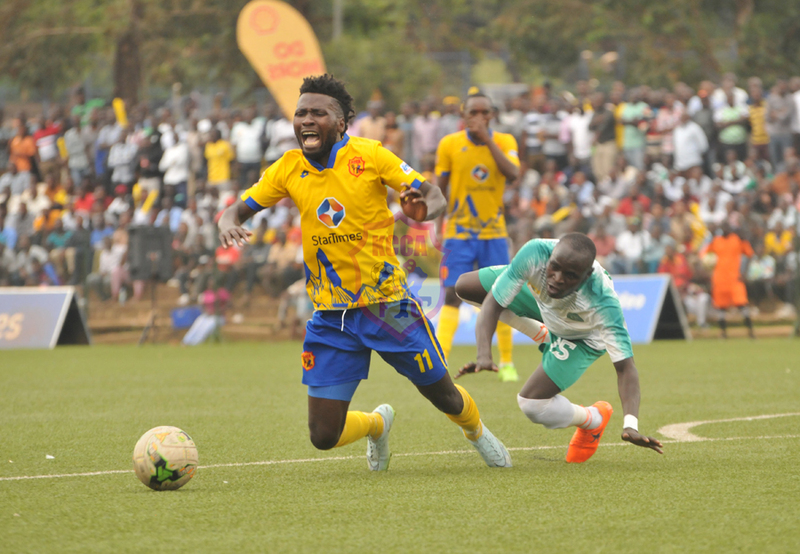 Mike Mutyaba was introduced later for Kyambadde and the experienced man almost made it two but his effort was accrobatically blocked by former KCCA FC player Denis Okot. The 12 time champions play Bright Stars next in the league on Saturday 9th February at Champions Stadium, Mwerewe.